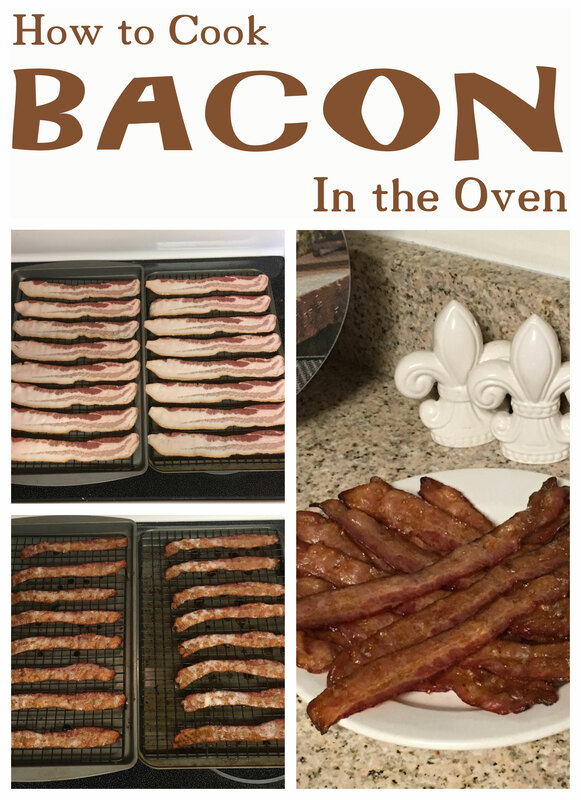 We all love bacon at our house and although we try not to eat a lot of it, we sure enjoy when it’s on the menu! Once or twice a month we like to make breakfast for dinner since we’re usually way to busy to make a big breakfast in the mornings and it’s fabulous to be able to walk away from the bacon while it’s cooking to take care of all the other dishes like ham, eggs and grits. In addition to not having to stand over the stove and flip the bacon, you also don’t have to deal with spatter when you cook bacon in the oven, plus it cooks up so pretty and flat and the grease drips off to the cookie sheets below. 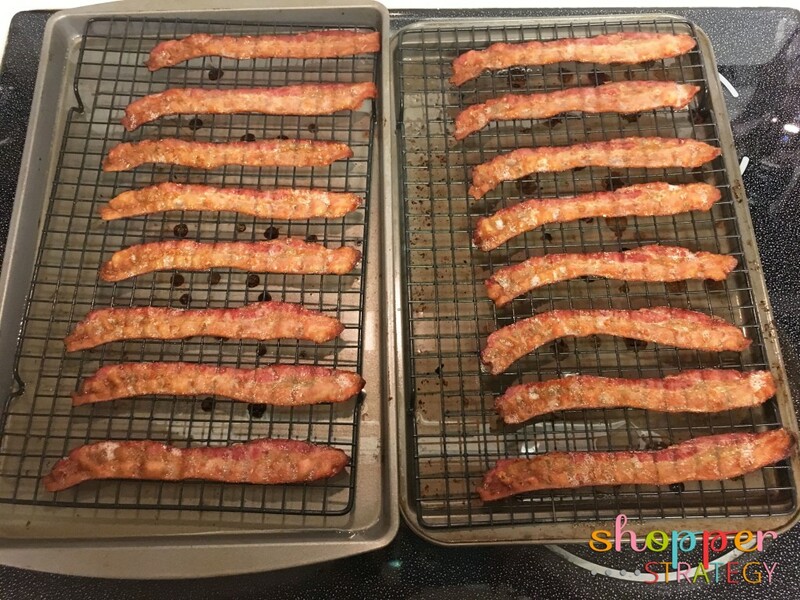 Bacon comes out perfect every time when you cook it on baking racks in the oven! It’s fast, easy and there’s less mess so cleanup is simple. All you have to do is allow the grease to cool and scrape it into the garbage. Once you try this method you’ll never want to go back to pan frying again. 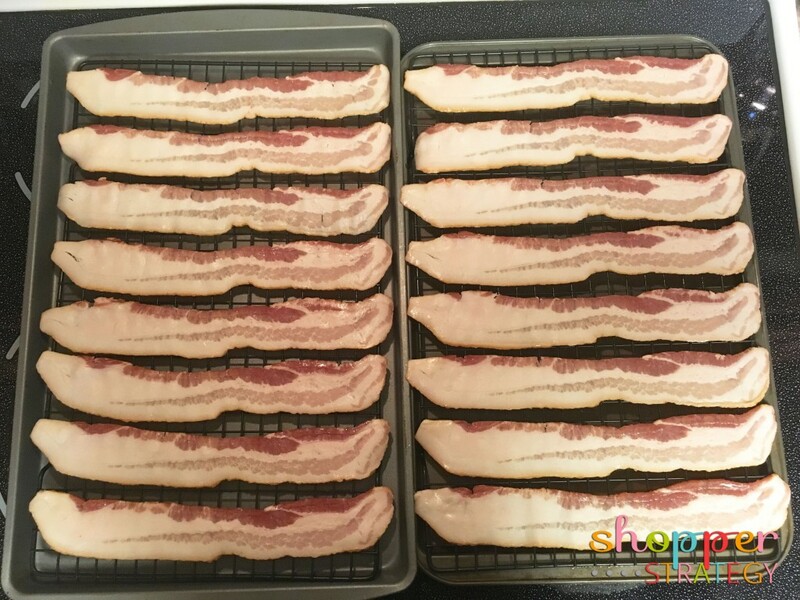 Place baking racks on top of two cookie sheets and lay strips of bacon evenly spaced on each rack. Bake for 15 to 18 minutes, or from 20 to 23 minutes for thick bacon, until desired crispiness. Carefully remove from oven as the grease in the cookie sheets will be HOT. Allow bacon to cool and serve. WOW, this bacon looks AWESOME! And didn’t even curl up like mine does in a skillet. And thanks for the link to the racks – now I don’t have to run around looking for some.